Russ Kridel is a Current Member of the AMA Board of Trustees. He is also a member of the AMA Foundation Executive Committee. He has been an AMA Delegate/Alternate from the American Academy of Facial Plastic & Reconstructive Surgery (AAFPRS) for over twenty years in the AMA HOD. 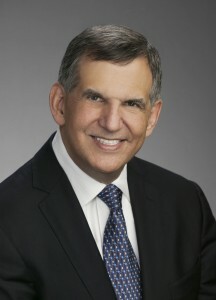 In addition to his specialty organization, the AAFPRS, he is also endorsed by the Texas Medical Association, The Texas Delegation to the AMA, the American College of Surgeons, the Section Council on Plastic, Reconstructive, and Maxillofacial Surgery, the Section Council on Otolaryngology/Head & Neck Surgery, The American Academy of Otolaryngology/Head & Neck Surgery, and the Neurosurgery Delegation. In private practice for over 30 years, Russ specializes in surgery of the face and neck, with an emphasis on reconstructive and cosmetic rhinoplasty and aging face surgery. Dr. Kridel is well known in primary rhinoplasty and in nasal reconstruction, especially following accidents or unsuccessful surgeries performed elsewhere. He completed the largest ongoing study in the world on the use of irradiated cartilage grafting in nasal reconstruction, which was published in the AMA Archives of Facial Plastic Surgery (now JAMA Facial Plastic Surgery) and was hailed by its editor as a landmark study. He has published over 100 peer-reviewed scientific articles in medical journals and textbook chapters, and he has been on the facility of over 40 courses in the U.S., as well as in Europe, Asia, South America, and the Middle East. He has served as a reviewer for JAMA Facial Plastic Surgery and other plastic surgery and ENT journals. He has advised biomedical companies on medical aspects of new science. He founded The Face Foundation in Houston in 1995, which provides surgical care at no fee to financially disadvantaged women and children who are survivors of domestic violence and need to receive restorative or reconstructive plastic surgery. Dr. Kridel is a full Clinical Professor at the University of Texas Health Science Center at Houston, where he is the voluntary director of the Division of Facial Plastic Surgery within the department of Otolaryngology. In Houston, he has been Chief of Staff of Houston Hospital for Specialized Surgery and Chief of Surgery at Sam Houston Hospital. Dr. Kridel was National President of the American Academy of Facial Plastic and Reconstructive Surgery (AAFPRS) from 2000-2001. He previously served as AAFPRS Vice President for Public Affairs, Treasurer, member of the Executive Committee, and Chair of its Ethics Committee. Russ has received the two highest honors from his specialty academy, the William K. Wright Award and the F. Mark Rafaty Award for excellence in facial plastic surgery. In 2013, Russ led the Harris County Medical Society (HCMS) as President, representing 11,000 physicians, making it larger than 37 state medical associations. During his tenure, Dr. Kridel has actively worked with national and state government elected officials on important medical issues such as health care reform (including SGR), simplifying practice red tape for physicians, and preserving the physician patient relationship. He has also made an impact on the fight against obesity as Chair of the Personal Responsibility Committee. The committee initiated the “Shut Out Sugar” program, including the development of a brochure for physicians and health care organizations to share with patients. And recently, Russ published a study in JAMA:Facial Plastic Surgery on Opioid Misuse. For years Russ has been a staunch advocate and spokesperson for physicians against overreaching governmental regulations and interference with the practice of medicine. He served 12 years on Board of Directors and District Chair of TEXPAC and was chairman of the TMA Committee on Professional Liability. He maintains close working relationships with the local U.S. Congressmen and Senators and Texas Representatives and has helped draft multiple pieces of legislation related to medical issues and has testified on several health care issues. Russ also just finished two years as President of the TMA Foundation and he serves on the Texas Medical Center Board of Directors. At the AMA, Dr. Kridel served six years as the Chair or Member of the Council on Science and Public Health (CSAPH). Reports during his Dr. Kridel’s tenure have covered such issues as: drug shortages, screening mammography, genomics, nanotechnology, and e-cigarettes. He also was Chair of the Committee to Select a Public Member for AMA BOT, on which he had served for 11 years. He is a past member of the Governing Council of the SSS, and was also chair of the SSS Long Range Planning Committee. As a CSAPH representative, Russ participated in a joint educational program and panel discussion on the Aging Physician at the 2013 AMA Annual Meeting. Dr. Kridel attended the Choate School and received his B.A. in political science from Stanford University. He received his M.D. from the University of Cincinnati College of Medicine and then attended Baylor College of Medicine where he completed residencies in General Surgery and in Otolaryngology – Head and Neck Surgery. He then completed a fellowship in Facial Plastic Surgery. As a medical student, Russ was elected national President of the Student American Medical Association (now AMSA). As president, he testified before Congress on different health care issues. He also was the student representative to the AMA Council on Medical Education before there were formal seats. During his residency at Baylor, Russ co-authored a book on medical cost containment that as published by the AMA. He also served on the AMA Resident Physician Governing Council, was the Resident Delegate to the HOD, and represented residents on the Liaison Committee on Graduate Medical Education. Russ has a passion for art and architecture throughout the world with a particular interest in Italy. Fluent in Italian, he has presented scientific papers at medical conferences in their native language. He has also been known to spin an album or two as a DJ and share his theatrical talents on stage.